Nice staff and overall great experience in Sitia Bay. Clean room and extra attention from cleaning lady that everyday left some delicacy in the kitchen. Pool area very relaxing and quiet. I would suggest it. The location across the beach and the Sitia Bay was amazing , peaceful and very convenient . I loved that they had a balcony, my room was facing the bay and the beach . It is a beautiful relaxing, authentic Cretan town. Excellent Hotel Apartments, in the right setting, with lovely sea views, with hospitable owners/ team. Don’t waste your time looking at the rest just simply book the best. See you again very soon. Spacious accommodation, very clean, staff very friendly. The cakes and bottle of wine were a nice touch. Excellent value for money. This place is absolutely fabulous! Everything proved to be beyond our expectations. 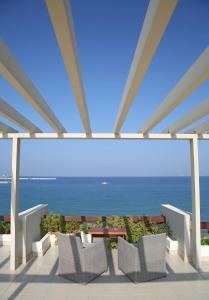 We had a double room with balcony, perfect position, splendid view, impeccable cleanness. A special word for Erikos, thanks for all advices and recommendations regarding surroundings and restaurants, and overall for kindness and hospitality. Just perfect ! Very well equipped studio apartment,spacious and with sea view from the balcony. Friendly helpful staff and owners. Very clean everywhere. A well planned and well built apartment hotel in an excellent position. Everything. Nothing to complain about. Staff extremely welcoming and helpful and made our stay a good one. The way how this little hotel is taken care of by Eric and his mother Irinata is wonderful. It feels a bit like a family home (which it is for them) extended to the guests. The location is perfect, quite a nice beach in front of the hotel, a quiet and beautiful pool area (really nice little garden with a small waterfall on one side), and walking distance to very good restaurants. Maybe the most beautiful part of the hotel is the huge roof terrace, ideal for some sports in the morning (we are practicing Tai Ji), but also for a sundowner drink. Everything is clean and well maintained, and each day we got another nice set of cookies. A perfect place to stay in Sitea. The beach is across the street, the restaurants are close by, and a swimming pool with jaccuzzi is an extra bonus. 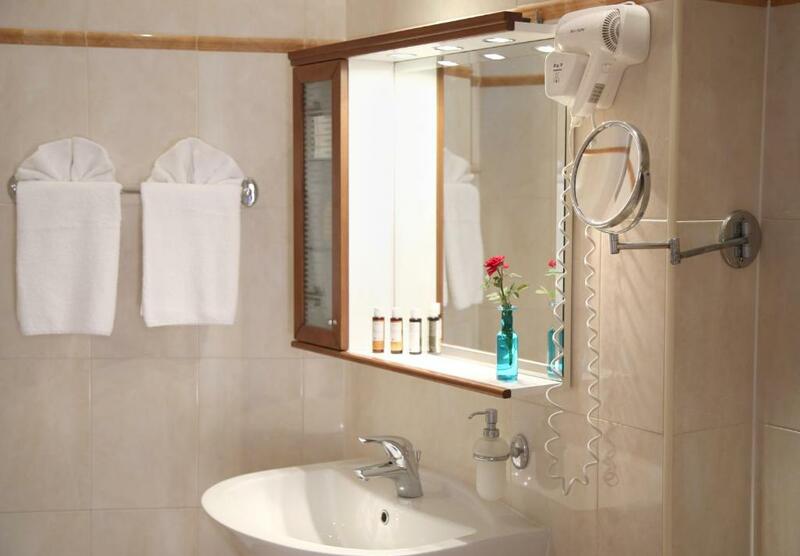 The aparthotel is modern, well-equipped, and clean. Everything worked. The staff were efficient and helpful. Lock in a great price for Sitia Bay – rated 9.4 by recent guests! Sitia Bay lies on the blue flag sandy beach, a 5-minute walk from the town center and features a pool surrounded by a flowered garden. 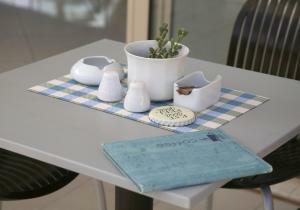 It offers self-catering accommodations with free Wi-Fi and balcony overlooking the Cretan Sea. A well-equipped kitchen with electric kettle, oven and fridge is included in all the air-conditioned units at the Sitia Bay. Other facilities include a satellite TV and hairdryer. 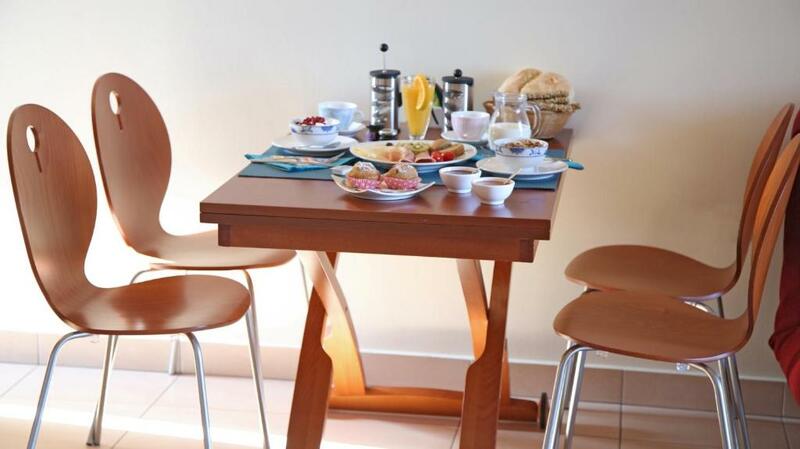 A continental breakfast can be provided daily, which can be served in the studios and apartments upon charge. Nikos Kazantzakis Airport is located 53 mi away. The property offers free private parking. 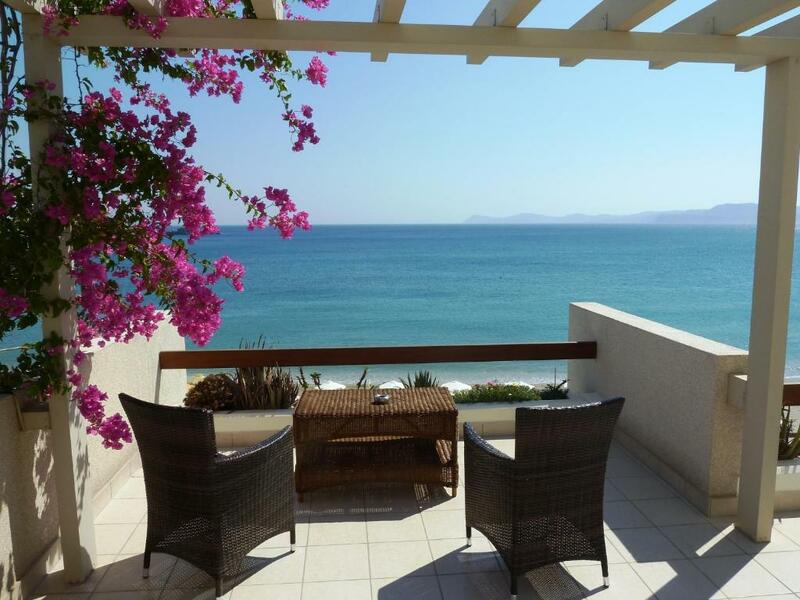 When would you like to stay at Sitia Bay? 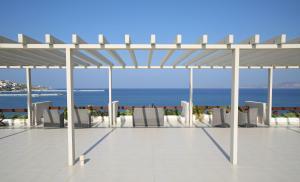 Air-conditioned studio with free Wi-Fi and balcony overlooking the Cretan Sea. A well-equipped kitchen with electric kettle, oven and fridge is included. Kindly note that extra beds are not available for this room type. Spacious 1-room studio, ideal for family use. 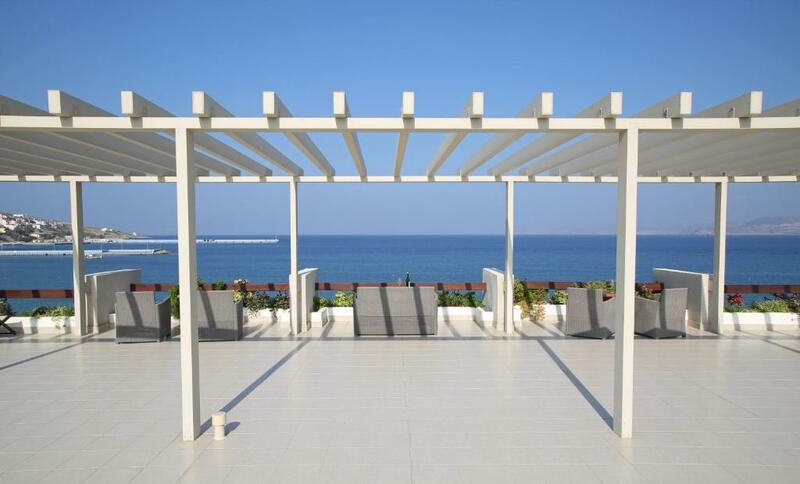 Featuring a seating area, this spacious apartment offers an LCD TV set and views to the Cretan Sea. A well-equipped kitchen with electric kettle, oven and fridge is included. The Sitia Bay hotel is a family run business which offers a relaxing, clean and family friendly environment with special attention to detail. The hotel is situated on the beautiful sandy beach of Sitia (which has been awarded the Blue Flag award) and is only a 5 minute walk from the town's center. The apartments are comfortably furnished to a high standard and are highly functional, providing all the comforts for a pleasant stay. The hotel’s swimming pool, with water sterilization, is set in a peaceful flower-filled courtyard where there is also plenty of space to sunbathe. The swimming pool is also equipped with whirlpool-jacuzzi. The hotel’s roof terrace can also be used by the residents to relax and watch the amazing sunset. The area around Sitia Bay and the town center (5 minutes walking distance) offer a safe, quiet and relaxing environment. There are numerous taverns, restaurants, coffee places and bars along the sea front which offer quality services. The town's archeological museum (5 minutes walking distance) and the Venetian fortress of Kazarma (10 minute walking distance) are also worth visiting. House Rules Sitia Bay takes special requests – add in the next step! Sitia Bay accepts these cards and reserves the right to temporarily hold an amount prior to arrival. Products for the preparation of continental breakfast are offered from the previous day upon request. Amazing views from this property. The room and bathroom are big and the property clean. Reception was helpful. The roof top views are amazing!!! Awesome value for money! A short waking distance to bars, restaurants and shops. Will definitely stay here again! Nothing wrong, all just perfect ! Perfect location close but quiet. The view from our downstairs room due to palms and other plants but this did not in anyway spoil our stay. I asked for a quiet room and that's what I got. Honestly, I cannot say that I disliked anything about this stay! Sitia Bay has a beautiful see view and you just have to cross the street and you are into the waves. The beds could be larger but they are still good. Great location, right on the beach, with very friendly and helpful staff! Highly recommended! Small boutique type hotel. Lovely pool area. Lots of nice touches which show care in the design of the hotel. Very friendly and helpful staff. We thought it was excellent value for money and we would definitely go back and stay here again. It felt very peaceful and calm. The location is great too with it being right on the beach just walk across the road.